Select the little cousin size from the drop down menu, and enter the size and color you'd like for big cousin in the "notes to seller" box at checkout. *Children's organic t-shirts (sizes 2T, 3T, 4T, 5T & 6) also available by special order - contact for details! 1. Select the color and size combination you'd like from the drop-down menus. 2. 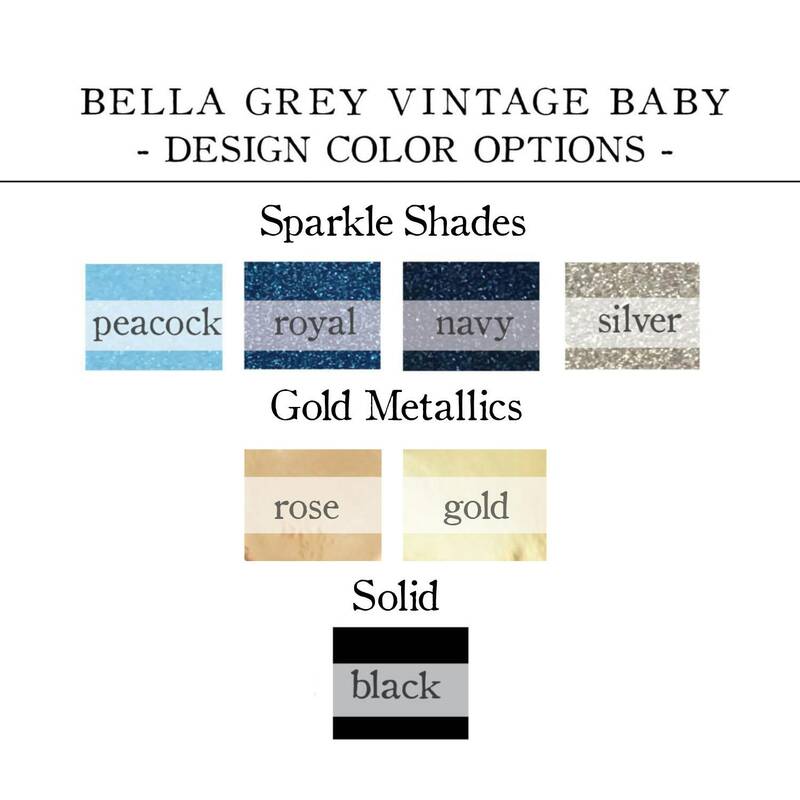 Enter the color you'd like for your design in the "notes to seller" box at checkout. *If no text color is chosen, bodysuit will be designed with solid white text on rose and blueberry bodysuits and with solid black text on white, natural and storm bodysuits. A perfect gift for my sister and our two soon-to-be baby boys, who are due three days apart. 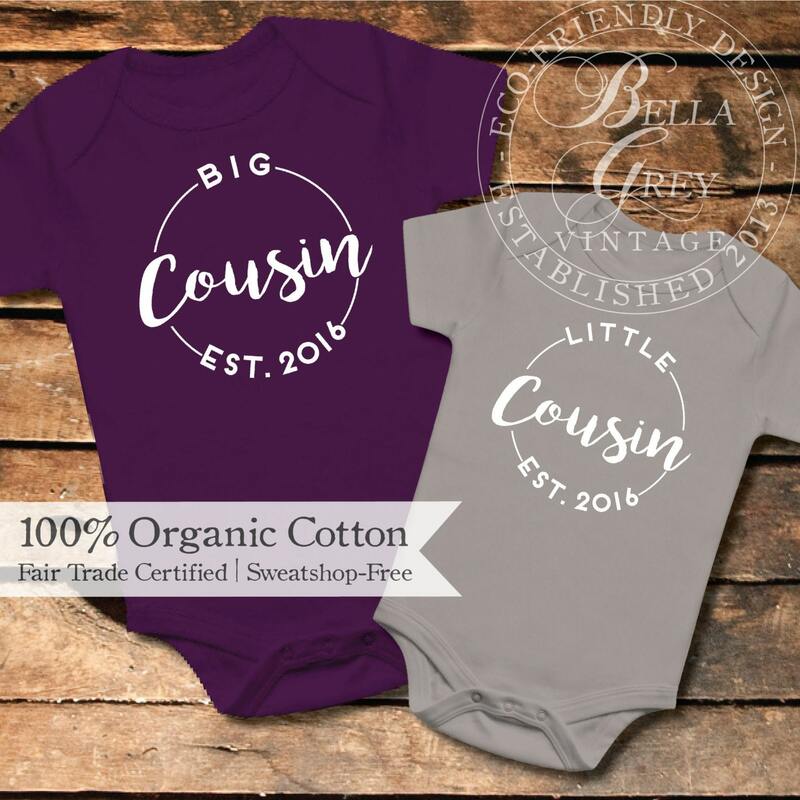 I gave my sister the gray and blue onesies (which are high quality and soft) at our joint baby shower. The baby that is born first will be the "big" cousin and the baby born second will be the "little" cousin. Can't wait to take a picture of our two sons in these onesies! Plus, Amanda was a pleasure to work with and was able to deliver the adorable onesies in a very timely manner.